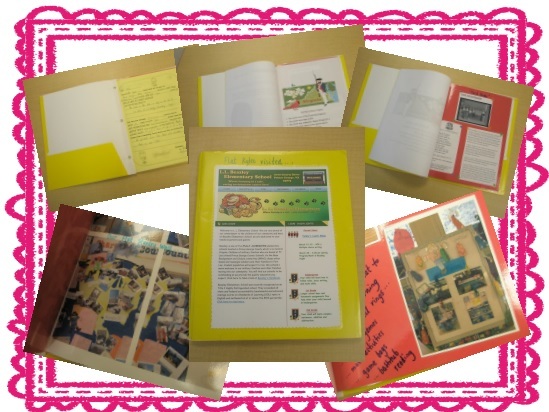 A - B - Seymour: Flat Stanley, Blog Award, and Advice Needed! Flat Stanley, Blog Award, and Advice Needed! It gets harder and harder for me to post on here as we get closer and closer to the end of the year! Phew!! 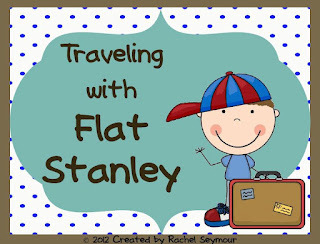 If you have followed my blog for awhile you will have heard me talk about Flat Stanley before! For the last couple of years we have read about Flat Stanley and then enjoyed mailing our Flat First Grade Friends across the country. I (meaning my wonderful aide) have recently hung up our Flat Stanley map in the hallway outside our classroom tracking where our Flat First Graders have traveled this year. My kiddos LOVE hearing about all the adventures our friends go on. I really wanted to take more pics today, but my camera battery died. And then the back-up battery died so I will post more pics later. This Flat First Grader traveled to visit her grandparents in Florida. She brought back a binder full of goodies! She also brought back a magnet with an alligator on it and a bag of sand! I was hoping she would send back the entire beach! :) You can see my cute little flat first grader in the first picture in the upper left corner. This Flat First Grader traveled to another first grade class in Virginia. They have been learning about Flat Stanley this year too and having their own adventures! 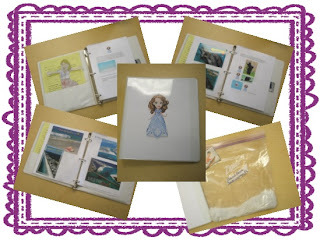 They take Flat Stanley home each weekend and record their adventures in their journals. They even have a Flat Stanley wall!! This Flat First Grader brought back pencils for our entire class and my kiddos were so excited to get a gift! You can have your own Flat Stanley and Flat First Grader adventures next year too! 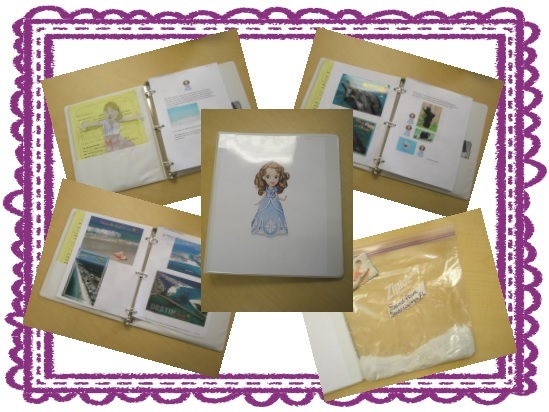 I have everything you need in my Flat Stanley Pack which you can find in my TpT store. I also need to share how excited I am that I was chosen as one of the Top 25 Elementary School Teacher Blogs of 2012! I know I'm so late with this news, but it's totally worth sharing!! I have no idea how I got nominated, but I appreciate the recognition. I know...I'm a dork....but, hey- it's the little things, right?!?! We are officially moved into our new house so now the remodeling begins. We are going to be getting our kitchen done soon. I have always wanted granite counter tops, but now I'm not so sure. I didn't realize they had to be sealed every year. I'm more into the no maintenance counter tops! If you have granite counter tops (and you have read this far) can you let me know what your opinion of them is? I would love to hear! I've heard quartz is much less maintenance so now I'm kind of leaning that way. Whatever we choose, we need to choose soon! I have always wanted to do something with Flat Stanley. Maybe I will get my act together this summer. Congrats on the award! That is awesome! I have a never-gonna-end-list too!! Hoping for a productive summer! I just found your blog, I'm your newest follower! Rachel, We just completed a complete kitchen remodel and we chose quartz. I don't know much about granite, but we LOVE our quartz! It is super easy to clean and no yearly maintenance. Check out some of our pics on my blog! Countdown to Summer...with Good Behavior!